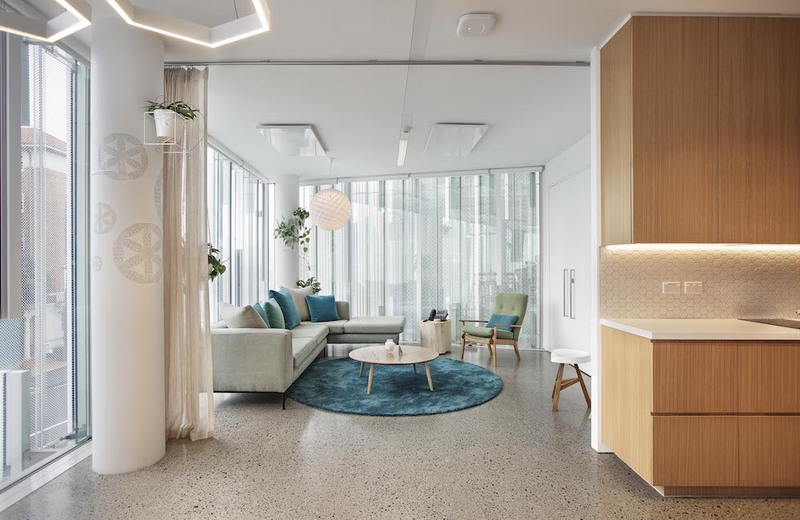 The brief from Samson Corporation was to design a relocated office environment in the Geyser Building Parnell, New Zealand’s first six-star green rated building in Auckland. 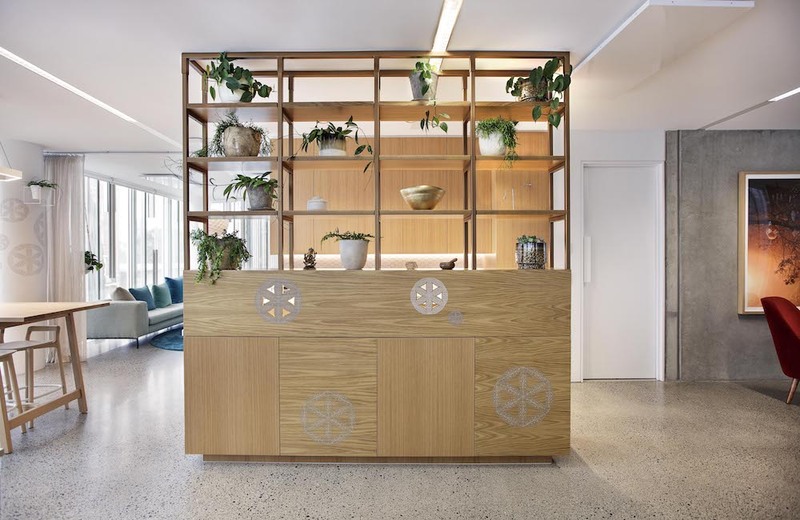 The company required their office space to be representative of the companies direction and values of green building, supporting and nourishing their staff and clients within their own working environment. 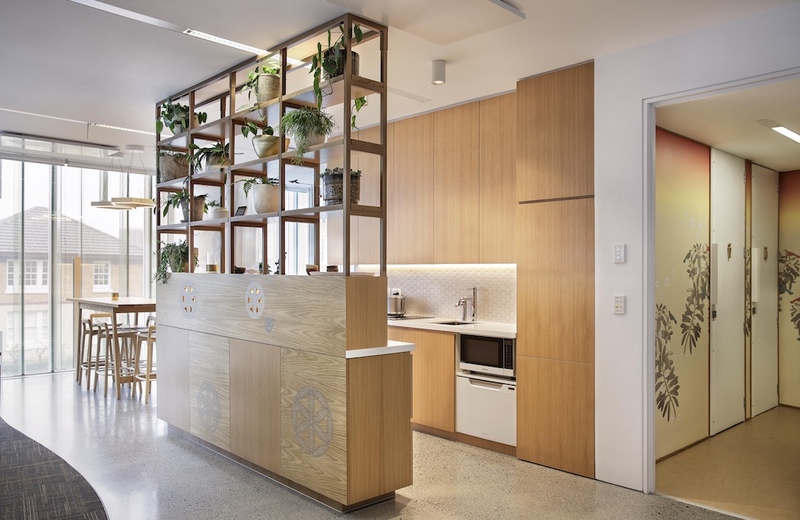 An inspiring workspace offering an open collaborative space for the team to feel energised and focussed whilst feeling supported and nurtured. 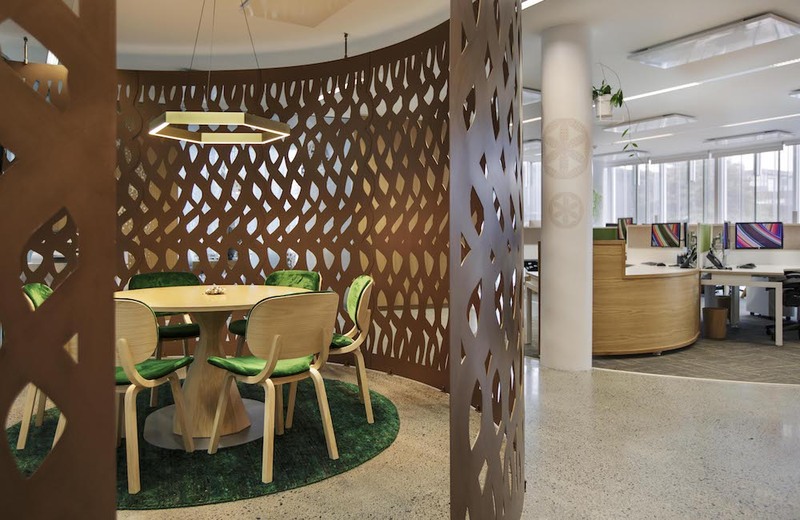 An environment where staff can breathe and feel comfortable and not feel separated from Nature within the workplace. Regenesis Design and Artist Miranda Brown were invited to help realise this. 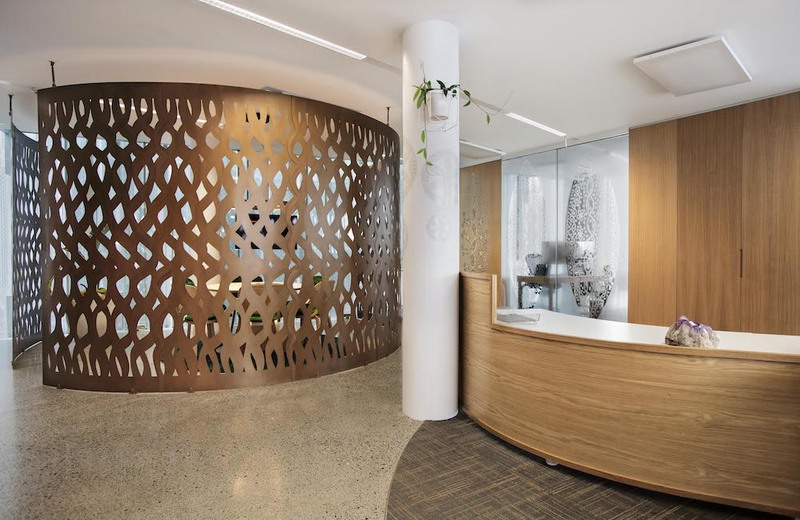 The initial creative process was supported in a collaboration with Regenesis Design, Artist Miranda Brown and the client to reveal the resonance of the Pohutukawa flower that was later weaved through into details of the design and purposefully placed in areas and on surfaces to assist in carrying these qualities throughout the space. 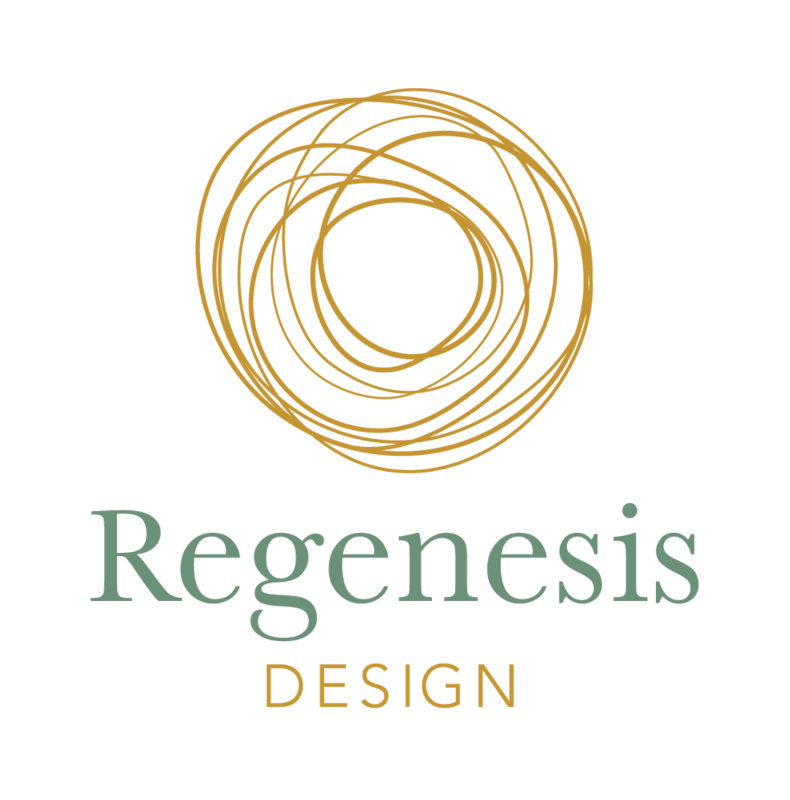 To support the changes and future direction for this new office in a whole design process a facilitated meeting was carried out by Regenesis Design with staff members to effectively understand these requirements. Working with alchemical principles through colour, pattern, placement, elements and light. The resonance was created in the space and maintained. 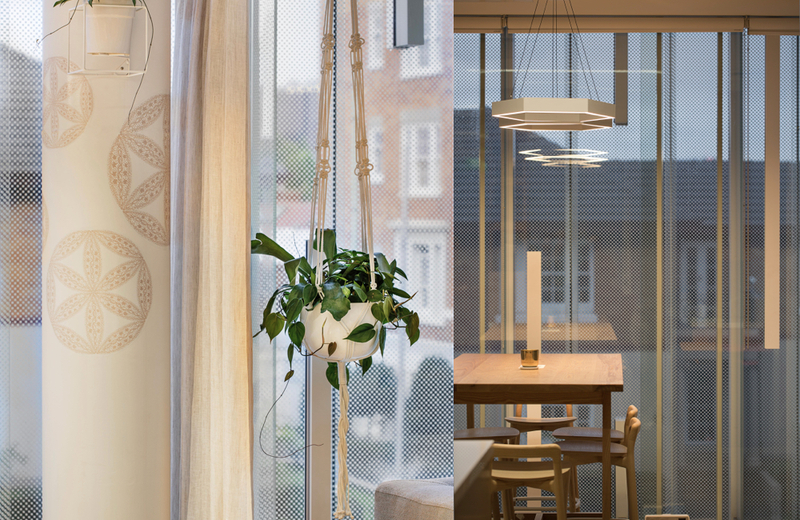 Enabling subtle imprints for increased creativity, sense of place, sense of self and healthy working relationships. Integrity was upheld throughout the whole process from how people and staff were engaged, the design through to manufacturing and installation. 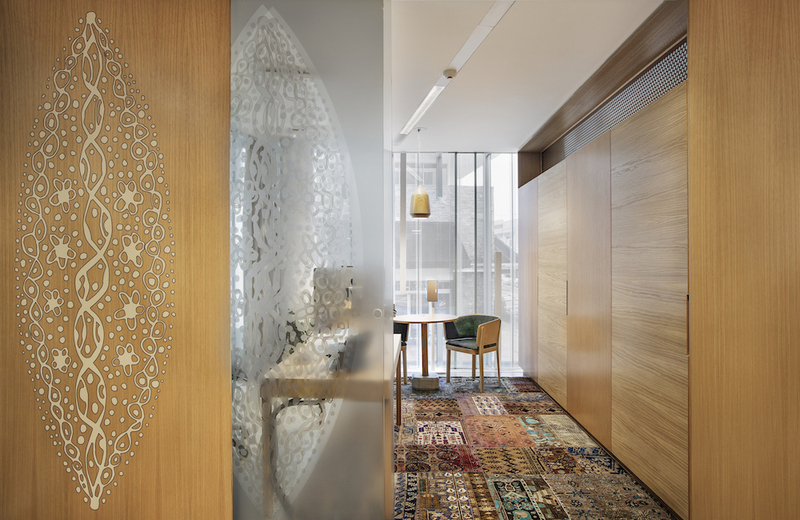 Regenesis Design carried out and oversaw all design work and project management of the office fit out in collaboration with Miranda Brown drawing and supplying her visual art for application and Spaceworks with the supply of the workstations and mobile units. 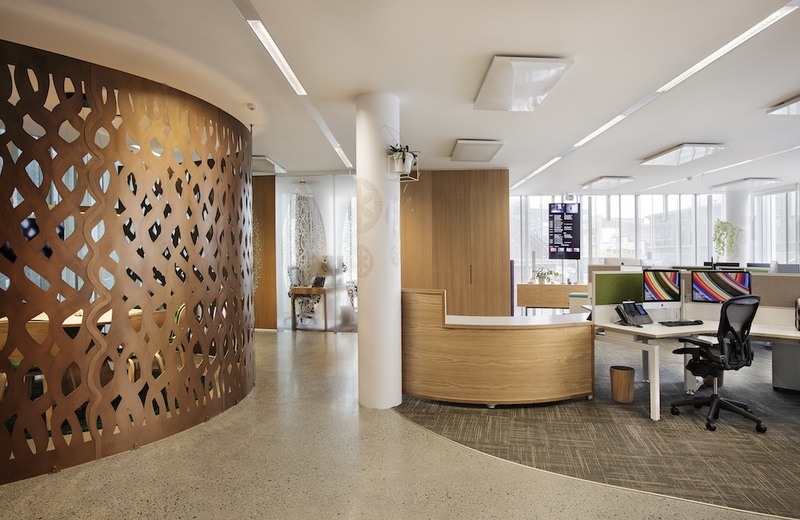 From arrival at the office building and how you enter the space to how you are greeted all add to the individual sensory experience of those both visiting or working there. 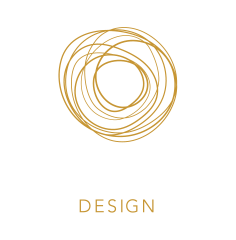 Copyright © 2017 Regenesis Design - We hope you enjoy our website. Please do not reproduce images or content from this site without permission. All images belong to Regenesis Design except where noted. All rights reserved.